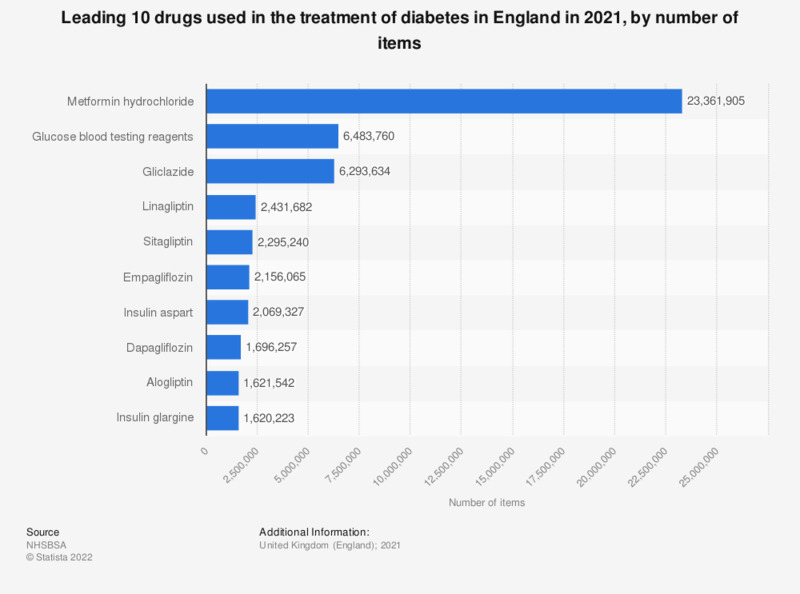 This statistic displays the leading ten drugs used in the treatment of diabetes in England, in 2018, by item. In this year the leading drug in the treatment of diabetes was metformin hydrochloride, with approximately 21.8 million items used. This was followed by Gliclazide with approximately 7.1 million items used.